The high resolution touch screen is equipped with large dimensions and vivid colors. 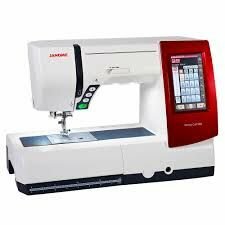 The bright and shadow-free lighting, the improved bobbin threading and bobbin cover plate, an extra high presser foot lift and the updated on-screen Sewing Assistant. Smarter And Faster The new generation of processor inside the MC9900 is four times faster than its predecessor. The MC9900’s needle plate has numerous guide lines, including angled lines to help you position your fabric exactly 1/4” from the cut edges, perfect for piecing and inset seams. The easy-threading bobbin case and cover plate mean there’s no need to pull long thread tails up and through when you first thread the machine. Slip the bobbin thread in the cover plate guide; the built-in cutting blades trims the tail to the correct length for a super-clean start to your stitching line. After the initial threading, the auto-thread cutter takes care of trimming and re-setting the tails each time. Changing fabric types or weights? Change the needle plate in two steps. Pop up the regular plate. Snap in the Straight Stitch Plate. The screen automatically disables all but the straight stitch options. including 6 button holes plus bar tack and darning stitches. 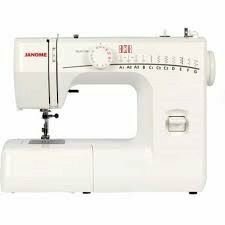 Need help with popular Sewing Tasks like inserting a zipper? 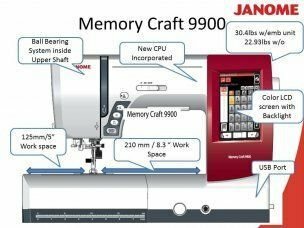 The MC9900 Sewing Assistant walks you through. Twin needle decorative stitching on the lapels of our teen’s sample jacket was the perfect touch. Simply pick a stitch, select the twin needle option, add the secondary horizontal spool pin, thread and go Brilliant color me x 4 = Express Yourself In Stitches For the metallic stitching accents on this stylish red dress, we combined the Normal Sew and Border stitches to create our custom design. The stitches and designs in both these sections are seen by the machine as part of the overall “font” category, which means they can be arced, kerned and otherwise manipulated just like lettering. 1. We first used the baste- in-the-hoop function to set up our stitching area. 4. a nd the M c 9900 stitched out our custo M design in beautiful silver M etallic thread. 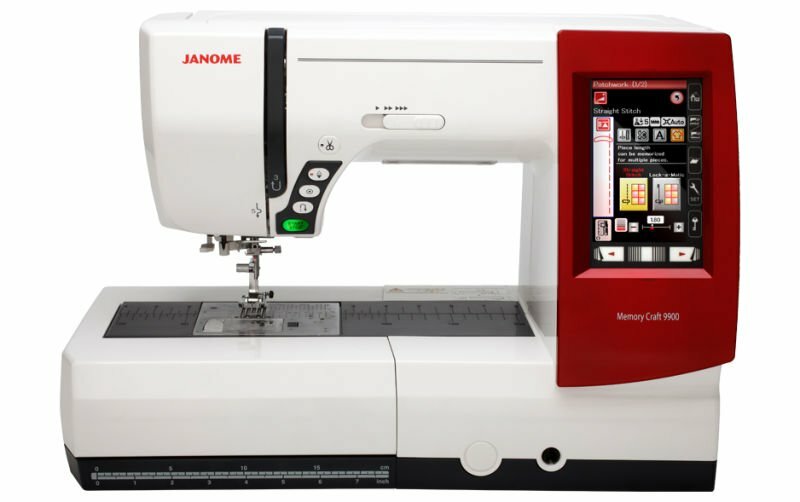 looking down on the Janome Memorycraft 9900 with embroidery unit working 2. We chose a n or M al s e W design, rotated, stretched and duplicated it. 3. a dded a b order design. Enjoy S E wing & Embroid E ry o n Th E m achin E aS Uniq UE aS y o U to express yourself. Because you get Why is creating with fabric and thread so much fun? The m emory c raft 9900 is the rare machine that lets you take your creative expression in any direction you can imagine. y ou can even express your mood by changing the face panel. 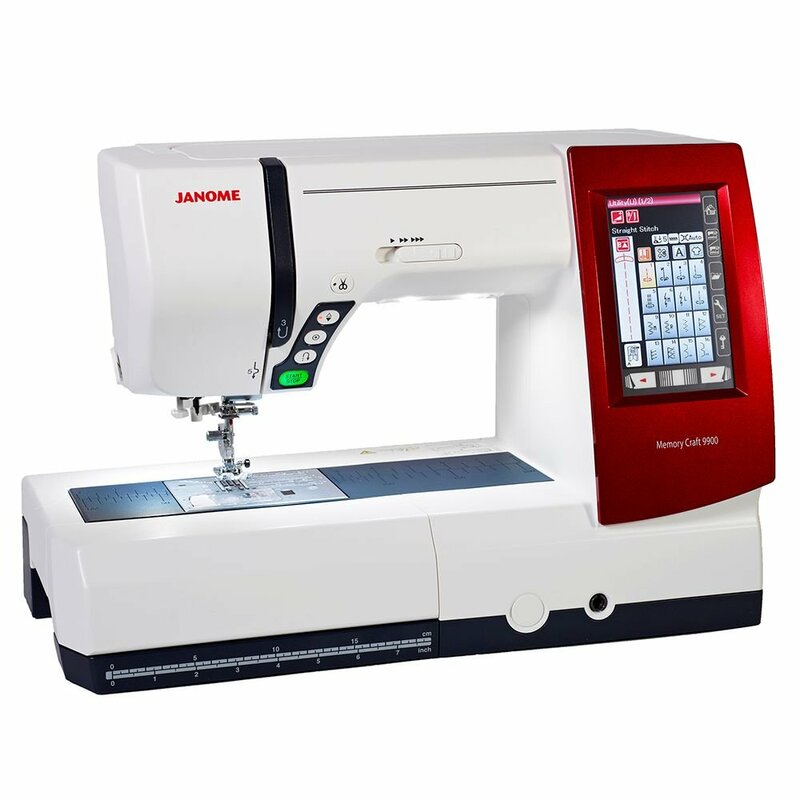 a ll the best features are here for embroidery, garment sewing, home décor, fabric crafting, and more. 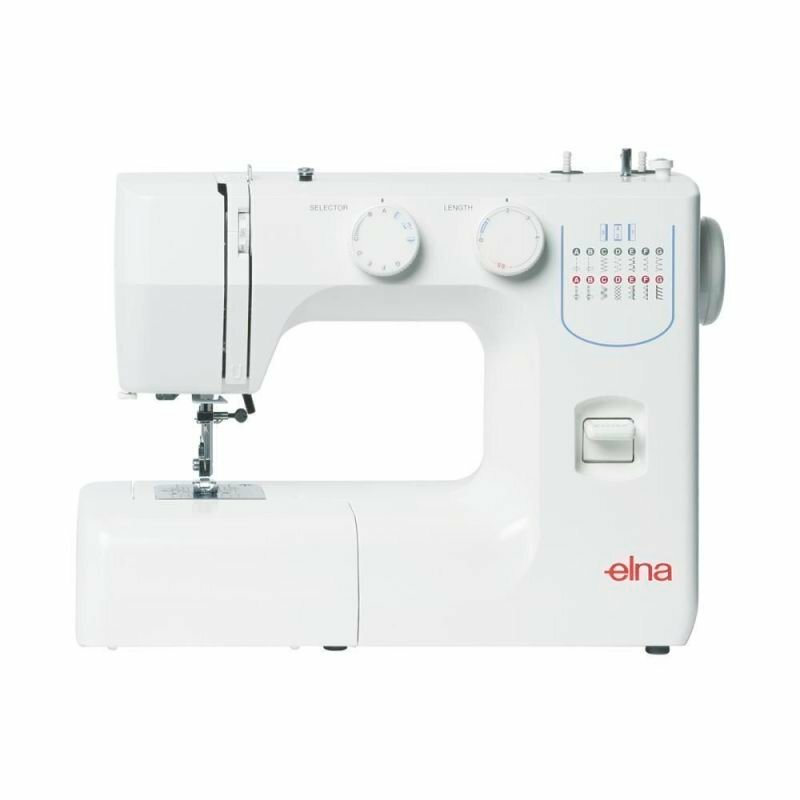 a ll in a machine that’s just the right size for any sewing space. 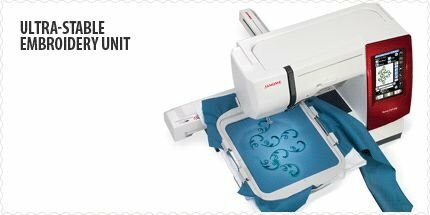 The mc 9900 is a serious embroidery machine, with the most stable embroidery unit j anome has ever produced. i t’s precise. i n fact, the stitch quality is so precise, it’s possible to embroider fine lace designs on certain types of organza without stabilizer! i t’s fast (1000 spm). a nd it’s remarkably quiet. 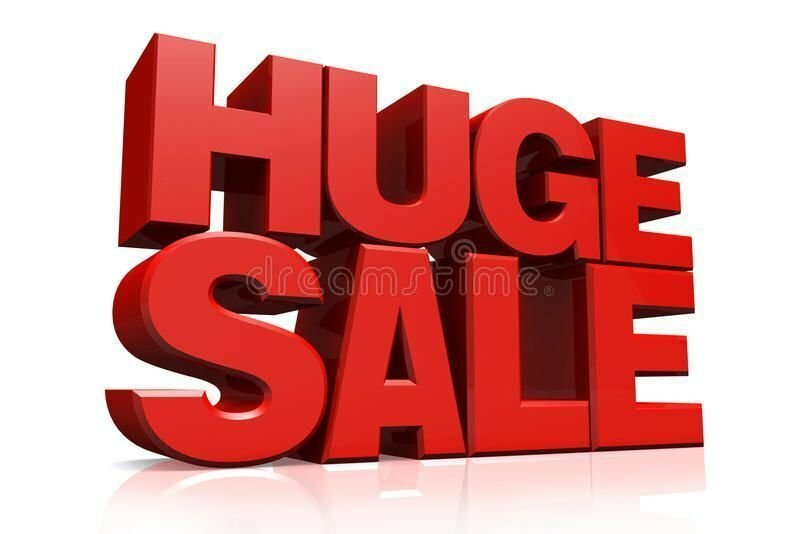 i f you’re looking for value, the mc 9900 has the kind of specifications found on machines costing twice as much and with three-times the learning curve. h ere, everything is so easy to use, because the technology is designed to make it fun. j anome is known the world over for its intuitive, use-it-right- out-of-the-box creativity. Even if you’ve never done machine embroidery before, you can be “expert-level” before you know it! For feature details, a project flip-book, face panel options and more! 4 5 Designs From All Sources The MC9900 comes with 175 built-in embroidery designs, the majority of them brand new, including exclusive designs by Jane Spolar, which we used to create our dramatic blazer embroidery. Or, use your PC to put embroidery files, or even whole layouts, on a USB stick. Plug it into the MC9900. Software isn’t necessary; the machine formats a folder system for the memory stick. Open with the on-screen layout tools, and you’re good to go.